This is the 1st class in my Junque Journal Series of at least 4 classes. Each class is a stand alone class or when combined you will have a stacked journal filled with pages, pockets, flaps and tags. Class 1 we are making the book base! 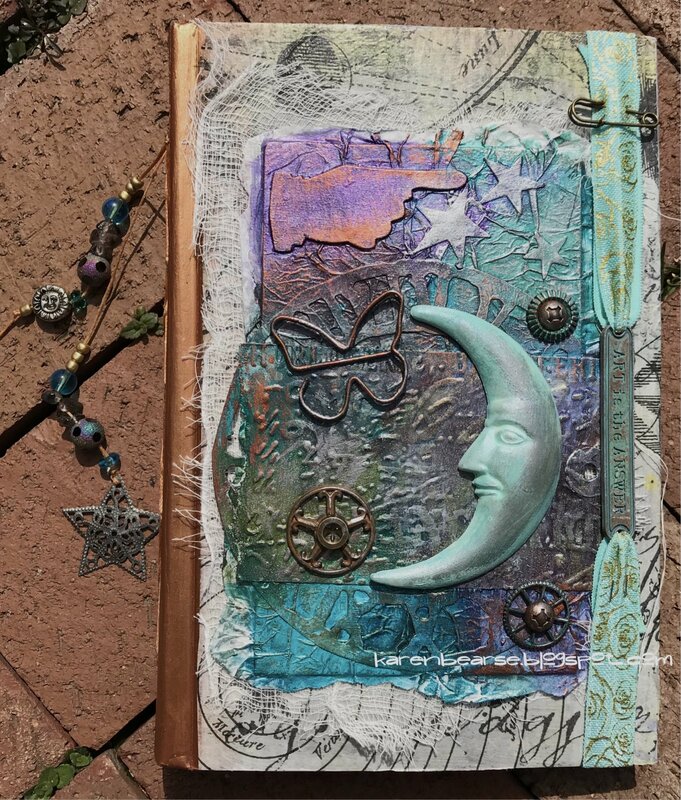 Join me as we learn how to turn a regular hard cover book into the start of a mix media masterpiece. In this class you will learn how to disassemble a book, create signatures & hand stitch them back into the covers. Class includes a mix of beautiful scrapbook papers, music, ledger and even handmade papers. Feel free to bring in some of your own papers to supplement the class kit, especially if you have a few favorite Gel Print papers.